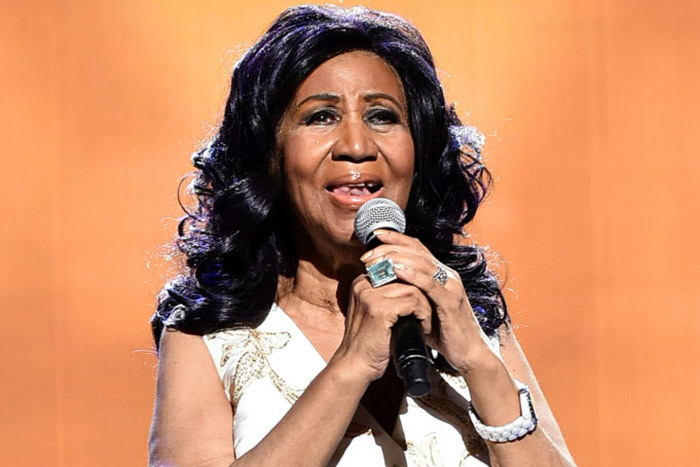 Aretha Franklin, whose gospel-rooted singing and bluesy yet expansive delivery earned her the title "the Queen of Soul," has died, a family statement said Thursday. She was 76, CNN reported. Franklin died at 9:50 a.m. at her home in Detroit, surrounded by family and friends, according to a statement on behalf of Franklin's family from her longtime publicist Gwendolyn Quinn. The "official cause of death was due to advanced pancreatic cancer of the neuroendocrine type, which was confirmed by Franklin's oncologist, Dr. Philip Phillips of Karmanos Cancer Institute in Detroit," the family statement said. Tributes and tears flooded in Thursday after news of her death broke. "Aretha helped define the American experience," former President Barack Obama said in a statement. "In her voice, we could feel our history, all of it and in every shade -- our power and our pain, our darkness and our light, our quest for redemption and our hard-won respect. May the Queen of Soul rest in eternal peace." Legendary soul singer and Franklin's friend of more than sixty years, Sam Moore, had words of sorrow and comfort to offer. "I adored her and I know the feelings were mutual. While I'm heartbroken that she's gone I know she's in the Lord's arms and she's not in pain or suffering anymore from the damn cancer that took her away from us," he said in a statement. "I'm going to hope, pray and count on the fact that I will see her again sometime. Rest in the Lord's arms in love, Re." Franklin's fans paid tribute with flowers and a crown left on her Hollywood Walk of Fame star in Los Angeles. Her death comes three days after a source close to Franklin told CNN's Don Lemon that the singer was in hospice care. "In one of the darkest moments of our lives, we are not able to find the appropriate words to express the pain in our heart. We have lost the matriarch and rock of our family. The love she had for her children, grandchildren, nieces, nephews, and cousins knew no bounds," Franklin's family said. "We have been deeply touched by the incredible outpouring of love and support we have received from close friends, supporters and fans all around the world. Thank you for your compassion and prayers. We have felt your love for Aretha and it brings us comfort to know that her legacy will live on. As we grieve, we ask that you respect our privacy during this difficult time." Funeral arrangements will be announced in the coming days, the statement said. The singer had been reported to be in failing health for years and appeared frail in recent photos, but she kept her struggles private. In February 2017, Franklin announced she would stop touring, but she continued to book concerts. Earlier this year, she canceled a pair of performances, including at the New Orleans Jazz Fest, on doctor's orders, according to Rolling Stone. The singer's final public performance was last November when she sang at an Elton John AIDS Foundation gala in New York.